Written By: Julie Schwartz Gottman, Ph.D., John M. Gottman, Ph.D. Complete with exercises that separate the 'master' from the 'disaster' couples, And Baby Makes Three helps new parents positively manage the strain that comes along with their bundle of joy. 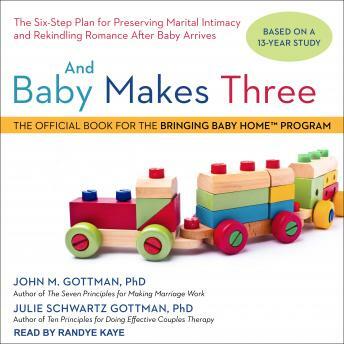 by Julie Schwartz Gottman, Ph.D., John M. Gottman, Ph.D.